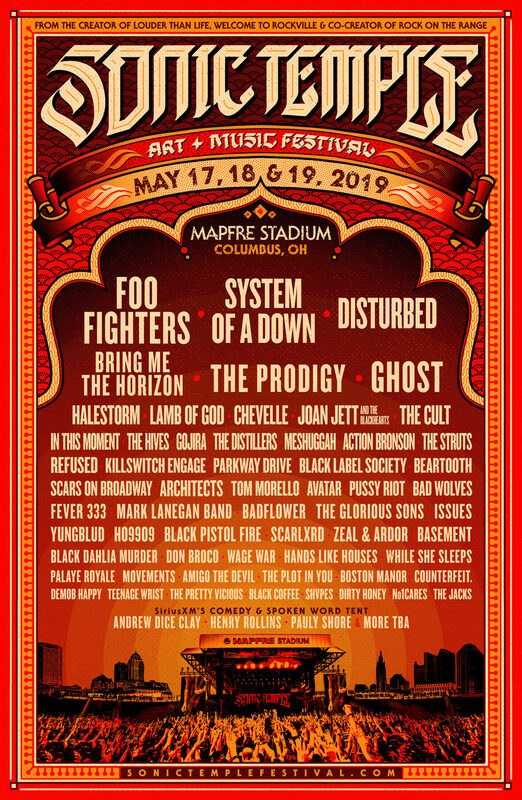 Disturbed is headlining the Sonic Temple Festival in Columbus, OH, which takes place May 17-19 at Mapfre Stadium. Exact performance date to be announced soon. Tickets available Friday, November 30 at 12pm ET HERE. Fall Tour Tickets Available Now!